When: Nov. 10, 1 P.M. 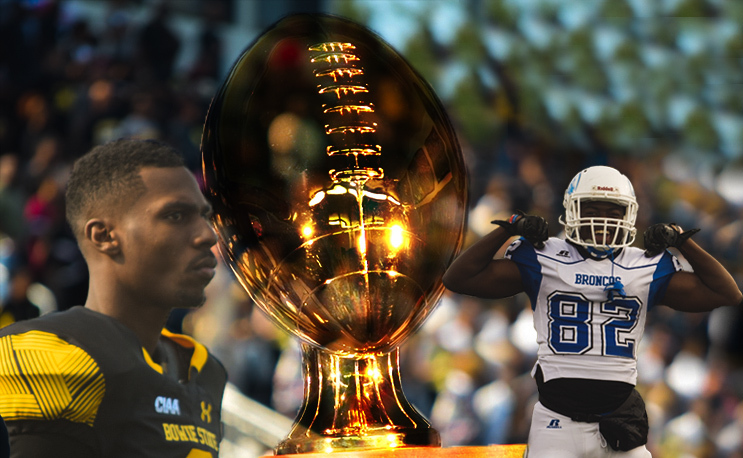 These two teams were predicted to win their respective divisions and play for the CIAA title. Here is how they got here. Bowie State enters the game 8-2 overall, 8-1 against Division II competition and 6-1 against CIAA competition. After opening up the season with a solid showing against FCS Wagner, BSU went on a four-game winning streak, highlighted by three-straight road wins and a gutsy comeback at home against Winston-Salem State. Trouble struck the next weekend when it tripped up against Chowan, dropping its record to 4-2 while losing to a divisional foe. It got back on track the next week against Virginia State with a solid win before heading down to take on a Virginia Union team that looked like it just might be the best squad in the CIAA. When the smoke cleared, however, BSU went back north with the win and control of the division. It took care of business against Lincoln and then against Bowie State to take home the division crown and keep its season alive. Fayetteville State enters the title game with a 6-2 record, 6-1 against Division II competition and 5-1 against CIAA competition. The first month of the seasons was filled with ups and downs for FSU. A 32-0 win against Lincoln was expected, but a setback to Wingate was disappointing for a team hoping to show it could compete in the playoffs. Then came Hurricane Florence, which devastated the eastern portion of North Carolina, including Fayetteville. While most CIAA teams lost one game due to the hurricane, FSU had two games canceled. When it finally got back on the field it had to go toe-to-toe with Chowan for a 40-38 win. Then came Southern Division play and things really got rolling, as it won its next four games to claim its championship spot in Week Nine thanks to a win over Livingstone and Shaw win over WSSU. It finished the season with a disappointing loss to WSSU, which likely put an end to its playoff hopes, but still has something worth playing for. The two teams have three CIAA titles between them, all of them belonging to Fayetteville State. Two of those titles (2002 and 2009) came against Bowie State. Bowie State did win the 1989 CIAA Championship Game, defeating Winston-Salem State, but that title was later rescinded after it was revealed Bowie State used ineligible players. BSU made back-to-back trips to the CIAA title game in 2015 and 2016, falling to Winston-Salem State both times. Fayetteville State made it to Salem last year but fell to Virginia State.